Home » humour , photography , Wordless-Wednesday » Wordless Wednesday: Funny Indian Trucks! Oh Elly, these colors and decorations are a usual sight on our trucks! 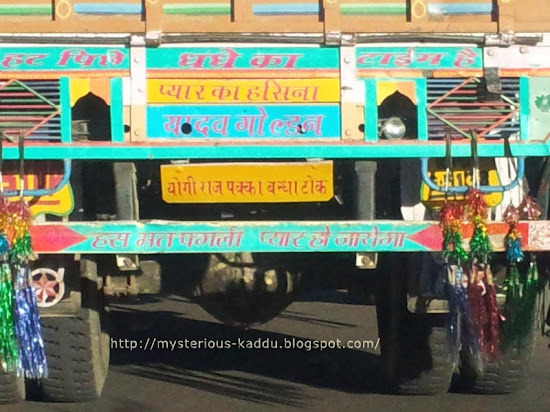 And that line on the bottom, just above the tires, reads "Has mat pagli, pyaar ho jaayega!" In English, that means "Don't laugh, silly girl, or you'll fall in love!"